How do you get your little kids to eat something that’s “crazy healthy?” Give it a disgusting name. 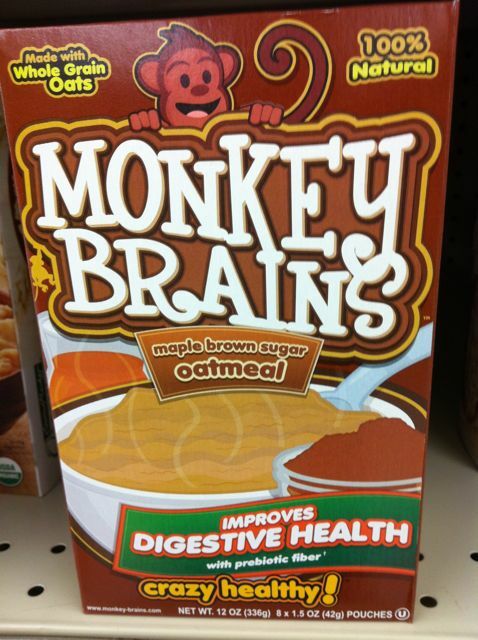 At least that’s the strategy of the marketers behind Monkey Brains oatmeal and Monkey Bars granola snacks. For what it’s worth, I think the functionality of their website is really nice, although not the online store part, which is pretty pedestrian. I’d say something’s gotta give on the Monkey Brains brand name front, or we’re going to have kids eating hair gel for breakfast and styling their fauxhawks with oatmeal.